. Published on 14/06/2018 . Alice Whitehead is back in her greenhouse for this installment of the new Veg Gardeners’ Glossary video series. In this series, Alice demystifies and explains many of the essential tasks for successful homegrown crops. In this episode, Alice shows us how to pot on. Potting on means moving the seedling on to a larger pot so that it has room to grow big and strong. 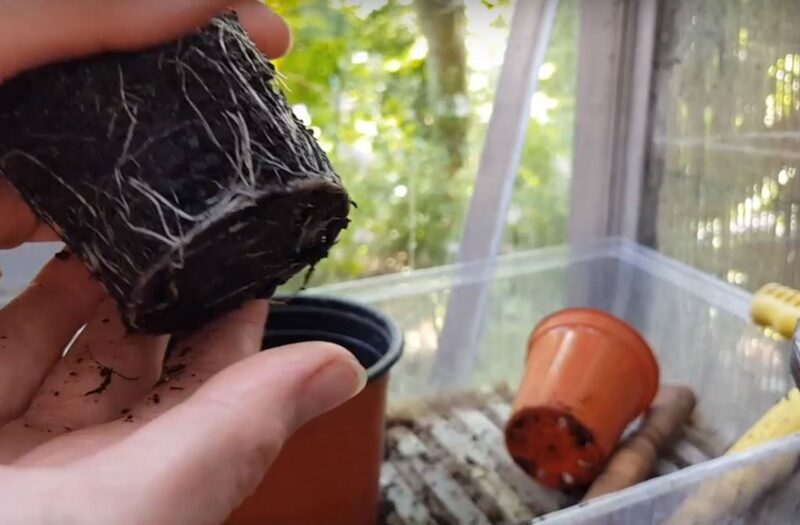 We learn from Alice how to transplant the seedling to a bigger pot without damaging the roots. Thanks Alice! If you’d like to see more simple ways to garden why not view the rest of our ‘How to Garden’ series or download the GardenTags app and follow @allotmentalice and the rest of our 100,000+ gardeners. Thanks Alice! We’re looking forward to seeing more videos from your very productive allotment. Alice Whitehead is a third generation allotmenteer that likes to grow, eat and get muddy – then write about it! With two urban allotment plots, an award-winning school garden club and an enthusiastic nine year old son to help.